Elegant European inspired, three bedroom, two and a half bath home in the historic Old Northeast! This one story impeccably updated, move-in-ready home is situated just steps away from Coffee Pot Bayou on a rare oversized corner lot with a completely walled in yard featuring custom designed gates and pool. The bright and elegant interior includes a renovated chefs kitchen with all GE Monogram appliances including a six burner gas cooktop, quartz countertops, Italian glass back splash, wine refrigerator and solid wood cabinetry. This beautiful home features vaulted ceilings, a large, light filled dining room with a James Morder chandelier and the living room boasts a wood burning fireplace. Gleaming hardwood floors are throughout the house and complement the elegant mid century modern architecture. This exquisite home features a split bedroom floor plan and includes a newly updated master suite with a superb spa like bath and features plenty of custom designed closet space. Company will enjoy staying in the guest suite that is very private with a lovely en suite bath. The dining room opens onto a travertine pavered patio, perfect for entertaining family and friends in the privacy of the spacious and tropically landscaped back yard. Enjoy the salt water pool uniquely designed with a large sun shelf, pebble tech surface and travertine deck. 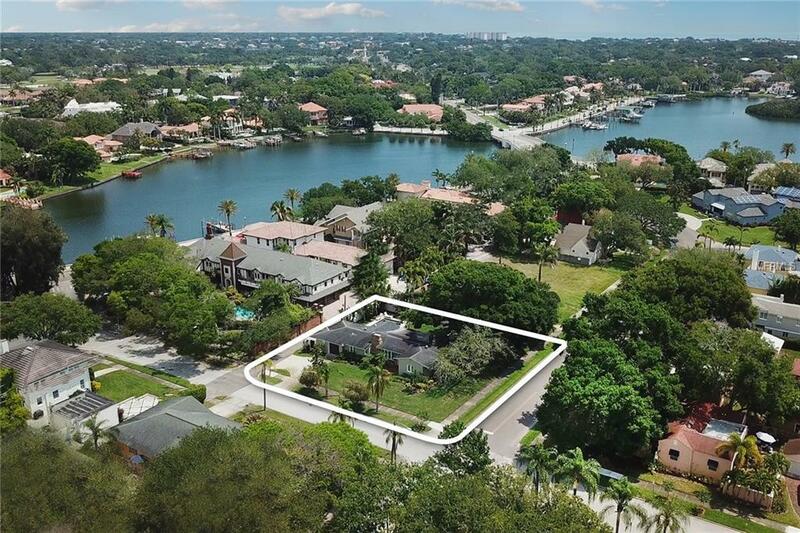 This gorgeous home is with in walking distance to thriving Downtown St Petersburg where you can enjoy fine dining, shopping, night life, museums and water front parks.